Nothing is safe or sacred in the world of identity theft, and no one can claim complete immunity from being a victim of it. Even the most secure sites are vulnerable to hackers. Equifax, a credit monitoring bureau, found this out in 2017 when cyber thieves walked off with the personal information of 143 million Americans. That’s more than two-thirds of the entire working population of the country. It is possible that some bad character somewhere has your credit account numbers, your social security number, all your previous addresses, and more. Nobody can completely protect you from identity theft, and anyone claiming otherwise is most likely lying. So what are reasonable people supposed to do about identity theft? 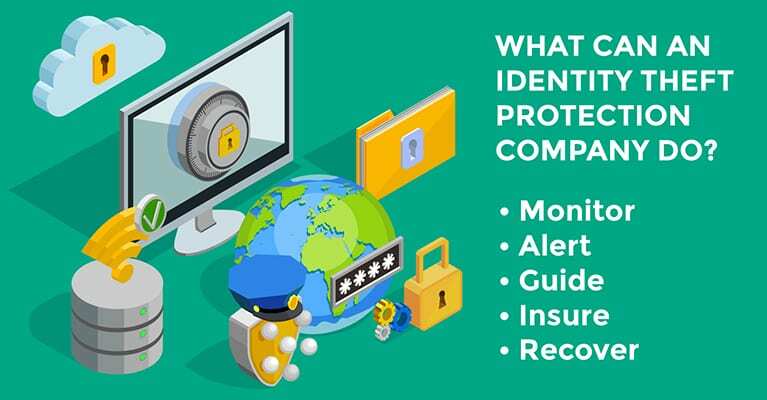 In this guide, we give you practical tips for maintaining your privacy, early detection of identity theft, and recovering your identity, so you can live your life without worrying excessively about this important problem. Unless you’ve opted to live in a cave, there is a good chance that you will become a victim of identity theft in your lifetime. I’m not saying that as a scare tactic—it’s just the reality. And yet, most people think that not to be true. The credit-rating agency Experian found that more than half of all people surveyed thought they wouldn’t be a target of identity thieves because of their poor credit. Unfortunately, anyone can be a target of of this crime, regardless of their financial situation. Should you throw up your hands in despair? No way. There are five reasons you should protect your identity security. For many victims of identity theft, their biggest loss comes in the form of time spent contacting banks, changing passwords, and disputing bogus charges on their credit cards. However, if you pay attention to your personal accounts and your credit report, you can quickly detect the most common form of identity theft, called account takeover. When your account is taken over, it is used without your knowledge or permission. If you become aware of false charges, you can call your bank and have it freeze the account and reverse the charges right away. But be aware that the longer it takes you to catch fraudulent transactions, the more difficult unraveling the problem becomes. So monitor your accounts closely and you’ll catch scam artists and spend only a little time working with customer service. 2. Hackers want your Twitter account. These days identity thieves are not only after your financial info but also your social media accounts. Your net worth might not be great, but your social media accounts can be of value. Scam artists may use your these accounts to get personal information and ultimately drain your bank accounts, but they also may use them to defame you, promote fraud, or simply make you look stupid. The same practices that protect you from old-school identity theft — using strong passwords, never giving out personal information, not clicking on links from people you don’t know — will help you protect yourself from social identity theft, too. 3. You’re already a victim. The Equifax data breach has made it clear that almost everyone is a victim of identity theft. Now that you know that your personal information has probably been stolen, it makes sense to become more vigilant. You don’t need to wear a tinfoil hat, but you do want to make it tough for scammers who are in possession of that information to use it against you. 4. The government won’t help you. Identity security is your responsibility. If someone misuses your information, you must detect it and clean up the mess. It’s not fair, but it is true. In 2016 the Federal Trade Commission (FTC) reported that nearly 400,000 people complained to it about identity theft. However, close to 15.4 million people experienced identity theft in 2016, according to a Javelin Strategy study. That means just 2.6 percent of identity theft victims emailed the FTC, much less got one-on-one attention. 5. Paying attention costs nothing. Javelin Strategy estimated that the cost of identity theft topped $16 billion in 2016. That’s an average of $1,039 per victim. While only 14 percent of victims paid for losses out of pocket, you could be on the hook if you don’t report fraud as soon as you detect it. However, a lot of these hassles can be avoided altogether by paying attention and detecting fraud early on. Paying attention costs nothing and will help you maintain control over your money and identity. The increasing frequency and severity of data breaches proves that nobody’s personal information is completely safe. However, you aren’t helpless. Below are the top 11 low-cost or free steps you can take to keep yourself safe. A credit freeze prevents anyone except you from looking at your credit report. That makes it impossible for identity thieves to use your personal information to open credit accounts in your name, since banks won’t be able to access your credit report. Freezing your credit is the best thing you can do to protect your identity. It won’t hurt any of your existing credit accounts, but it will make you tough to hack. If you need to shop for a mortgage, a car loan, or a new credit card, you can thaw your credit for a small fee, usually from $3 to $12, depending on where you live. When you freeze your credit, you must do so at all three credit bureaus — Equifax, Experian, and TransUnion — and it will run you from $3 to $10 at each (the exact cost depends on where you live and the bureau). For most people, this is well worth the minimal financial outlay. “Multifactor authentication” (MFA) is a fancy term that is simple to understand. It means that you want your accounts to require at least two forms of identification to let anyone in. The first form is usually your password, and the second could be your thumbprint, a PIN number, a digital PIN sent to your phone, or a question. For example, when you get money from an ATM you need your physical debit card and a PIN number. The National Institute of Standards and Technology recommends that everyone should use MFA whenever possible. You’ll definitely want this setup on your banking apps, your email, and your social media accounts whenever possible. More than half of all consumers use less than five passwords to protect themselves digitally. If you use the same password for every online account, a hacker can easily access all of them. Instead of making yourself an easy target, create long passwords with a variety of numbers and characters and update those passwords regularly. Sounds like a lot of work? It is. That’s why a password manager makes a lot of sense. Password managers such as LastPass or DashLane offer free and paid options to help you create strong passwords for all your most important information. Banking apps are specifically designed to have a super-high level of security. These are the safest way to access your private financial information on the go. Your phone’s web browser isn’t nearly as safe as a bank’s app. Because your browser isn’t fully secure, it could broadcast your information to nearby hackers. 5. Update your operating systems. Out-of-date computer operating systems are susceptible to virus and hacks, so it pays to keep your operating system up to date with the most recent patches. This will protect you from vulnerable spots that have been detected. 6. Use secure Wi-Fi connections. Whenever possible, use secure Wi-Fi connections. According to the FTC, when you enter information using a public hotspot, another user can access the information, leaving you vulnerable to a digital hack. In most cases, it’s best not to access sensitive information, such as your tax information or bank accounts, through a public connection. Identity thieves aren’t always computer hackers. Sophisticated dumpster divers can steal info straight from your garbage can. Take time to shred old bank statements, old checkbooks, and other personal information before throwing them out. 8. Think before you share. Unless you want creepers calling you up or visiting your home, don’t share your address or your phone number online. Also avoid using the location services on Facebook, Twitter, Instagram, and other social media sites. 9. Keep personal information personal. If you get help from a financial adviser, a lawyer, a CPA, or anyone who deals with your finances, you should communicate with them via an encrypted email messaging system. Most professionals should have the encryption set up on their end (so you don’t have to worry about it), but you can establish a free encrypted email account through ProtonMail to send and receive sensitive documents. 11. File your taxes early. One of the most difficult forms of identity fraud to untangle is tax fraud. Tax fraud happens when someone files using your Social Security number to collect a refund check. The easiest way to stop someone from stealing your identity for tax purposes is to file your taxes as early as you can. This isn’t a guarantee of protection, but it can help. Once you’ve taken basic steps to prevent identity thieves from harming you, you’ll want to monitor your identity to detect any signs of fraud. This sounds complicated, but it’s not a huge deal. There are five easy things you can do to see if anyone is misusing your identity. 1. Check your account activity daily. One of the most common forms of identity theft is called account takeover. It happens when a thief uses your credit or debit account to make fraudulent purchases. In general, you won’t be liable for fraudulent purchases made on your credit card accounts, but you must report them right away. Take a few minutes each day to review your transactions on your open credit and debit card accounts. If you don’t recognize the transactions, call your bank right away to report the fraud. 2. Check your credit report annually. A less common form of identity theft is called identity takeover. This happens when a person uses your personal information to open debt accounts in your name. At least once a year, you should check your credit report at all three credit bureaus. This is completely free, and it’s your right to do so. As long as you recognize all the information on your credit report, you can feel confident that you’re not an identity theft victim. You can also check your TransUnion credit report for free at creditkarma.com. 3. Pay attention to alerts from your bank. Banks and credit card companies want to stop fraud even more than you do. After all, they are usually on the hook to pay for the fraudulent activity. About 45 percent of all identity theft victims first found out when their banks alerted them. If you get a call from your bank, pay attention to it. You may be asked to verify your last three transactions or the last place you used your credit card. The fraud department should not ask you to confirm your Social Security number or address. If you suspect that a call is not actually from your bank, hang up and call your bank’s fraud department through its secured line, then close any accounts that have fraudulent transactions. In addition to having a credit report, you have a bank account report card called the Chex report. You can have this report sent to you for free by requesting it from ChexSystems. Most of the time, you won’t catch identity thieves opening bank accounts in your name, but forgotten bank accounts could leave you vulnerable to cyberattacks. I’ve had to shut down several bank accounts that I opened over the years. 5. Use an identity-monitoring service. If staying on top of your accounts sounds like too much work, you may want to use an identity-monitoring service such as Zander Insurance or ID Shield. These companies not only monitor your credit report but also look for instances of your information on the dark web. They will alert you if they see suspicious activity and help you clean up the mess if your identity is compromised. If you implemented the early – detection techniques outlined above, and you spot evidence of identity theft, it’s time to jump into action. The sooner you act, the less damage a scam artist can do to you. These are the steps you need to take in order to stop the damage, recover your identity, and get back any stolen property. As soon as you spot identity theft, call your bank and ask it to freeze your account. If the thief tapped into a credit card account, this should be fairly easy. If he or she started withdrawing cash from a debit account, you’ll need to do more work. The fraud department at your bank should help you order new cards and prevent new transactions from going through your account. You need to let your bank know about the fraud right away, and you need the bank to make every effort to stop it. Don’t get off the phone until you feel confident that the identity thief can’t access the account again. Once you’re off the phone with your bank or banks, change all your bank passwords. If a thief somehow gained access to your banking information, you want to change your password so he or she cannot get it again. 3. Create an identity theft report. The FTC has created an easy way for people to create and update identity theft reports. These reports will help you dispute bogus information if a bank or another institution gives you trouble. 4. File a police report. After creating an identity theft report, you may choose to file a police report. You can do this by calling your local law enforcement agency. This probably seems like a huge hassle (since the police are unlikely to solve a case of identity theft), but it can make a difference. At the very least, filing a police report will give you access to an extra copy of your credit reports. If you experienced a full identity takeover, the police report will help you to communicate the fraud with debt collectors and the credit bureaus. As explained earlier, you can freeze your credit as a preventive measure. You can also freeze it after an identity theft incident. You can also put a fraud alert on your credit report. A fraud alert lasts 90 days, and you’ll get a phone call anytime someone tries to use your identity to apply for credit. You must place a fraud alert at all three credit bureaus: Equifax, Experian, and TransUnion. During your account-freeze phone (step one), you probably asked the fraud department to remove bogus charges from your account. In many cases, simply reporting the fraud is enough to get it removed. However, if that doesn’t work, you’ll need to send a letter. The FTC has sample letters that you can use to dispute charges. Be sure that you clearly communicate the exact charges that you believe are bogus. 7. Check all three credit reports. When you file a fraud alert, you can request free copies of your credit report from all three credit bureaus. You can check these at AnnualCreditReport.com or call 877-322-8228 to explain the identity theft and get copies of your reports. If you find bogus accounts on your credit report, you can use the sample letter at IdentityTheft.gov to have the credit bureaus block the account from your reports. In addition to blocking the accounts from your credit report, you’ll need to contact the company where the bogus account was created and ask it to shut down the account. Use the sample letter at IdentityTheft.gov to explain that you’re the victim of identity theft, and they must shut down the account. 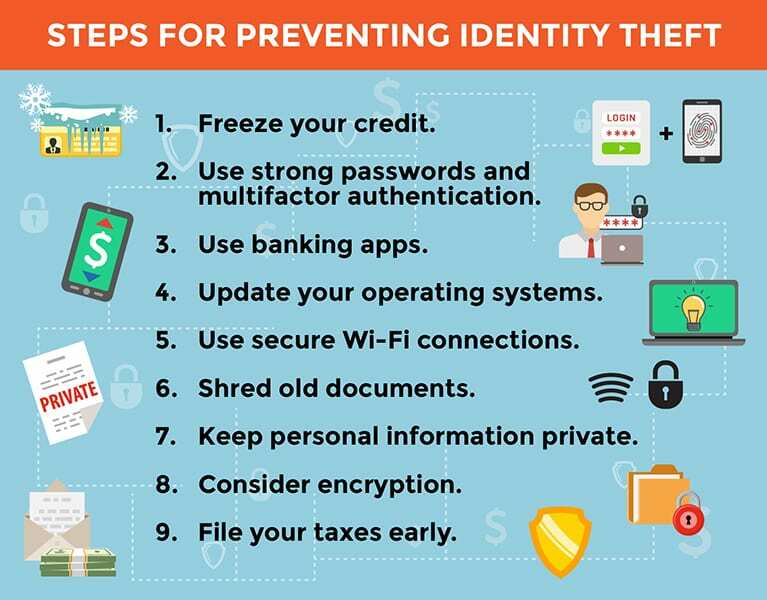 If your identity isn’t fully restored after taking the eight steps above, go to IdentityTheft.gov to create a personalized plan for full identity recovery. In addition to sample letters, you’ll find detailed information for victims of fraud. What do identity protection companies do? They don’t have magical powers, and they cannot prevent hackers from using your information. However, these companies have effective algorithms that monitor the entire internet, including the dark web, for evidence of your personal information popping up where it shouldn’t. When they find activity associated with your name, they will alert you immediately. What should I do if my relative stole my identity? Will she go to jail if I report her? Just less than one in 10 (8 percent) of all identity theft victims know something about the offender. If a parent, sibling, or friend stole money from your checking account or opened debt accounts in your name, you must take steps to clean up your identity. Unfortunately, if your sister stole your debit card and withdrew $400 from your bank account, that will show up in the police report. In that case, it might make more sense to try to work out a repayment plan between the two of you. In one FTC study, more than 10 percent of minor children had some type of loan or regular payment, such as a utility bill, opened in their names. That means that parents are destroying their kids’ credit. If you’re in that situation, you face a nearly impossible dilemma, but the first step is communication: You need to speak with your parent and tell them to stop using your identity. Tell them you’ve frozen your credit so they can’t open any more accounts. Technically identity theft is a crime that carries up to 15 years of imprisonment. Practically speaking, police are unlikely to press charges if the rightful owner takes over the accounts. If protecting your parent against the threat of prison is your top priority, you’ll have to work on building your credit back on your own. What should I do if my Social Security number has been compromised? Having a compromised Social Security number is unfortunately becoming the norm these days. Somebody with bad intentions possibly has your number on a server, but unless the number is being used to your disadvantage, it’s almost impossible to replace it. That means you should be vigilant in protecting your identity by using other methods. 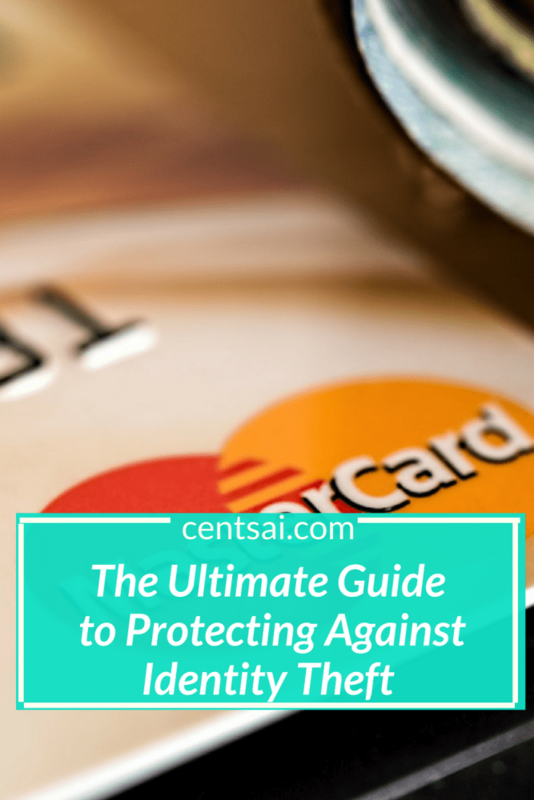 The 11 practical low-cost steps above will help you guard against most cases of identity theft. If your Social Security number is regularly under attack, you’ll need to call your local Social Security office and work through the process of renewing a Social Security number with them. How quickly can I resolve identity theft? More than half of all identity theft victims resolve the problem within a day, according to the Bureau of Justice Statistics. However, 9 percent of victims spend more than a month resolving the situation. The type of identity theft you experience and how quickly you catch the fraud will influence the time it takes to resolve the issues. And even when a long time is involved, the cost — outside the hours you invest —usually isn’t too bad. Just 4 percent of all identity theft victims experienced legal problems because of the theft, and 2.7 percent experience related debt collection issues. Among people who spent more than six months resolving their identity theft, only 8.1 percent experienced school or work-related problems as a result of the fraud. Who is most likely to become a victim of identity theft? According to the 2014 Bureau of Justice Statistics Identity Theft report, 7 percent of all U.S. residents age 16 or older suffered from a specific identity theft attack in that year. Males, females, young and old, and rich and poor were equally likely to become victims of fraud. Minorities were somewhat more likely to be targeted for identity fraud, but other demographic considerations didn’t appear to be important. Are you protected against identity theft? Scam artists are always at work trying to steal your personal information for their gain, but you can take action to mitigate the risks of identity theft. Protecting yourself doesn’t take a lot of time or money, but it can pay off in terms of peace of mind. Take a few minutes to implement identity theft prevention measures, and be vigilant for signs of fraud. With these easy safequards in place, you’ll be ready to fight back if anyone attempts to steal your identity. 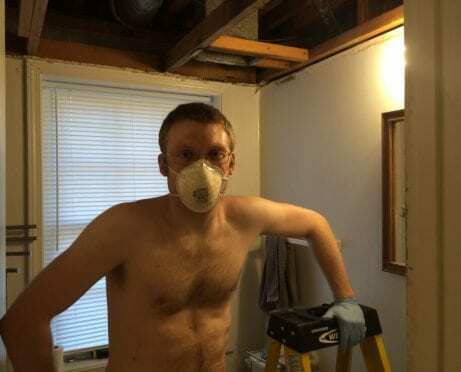 The Housemate: We Have a Man in Our Basement!